DEPRESSION is anger turned inward, anger at one’s self. It may be a temporary reaction to circumstances. It may be a set of long-standing mind habits. It can destroy the joy of life. 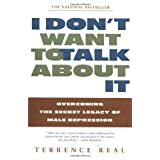 How can you get out of this depression? First explore whether you can change the situation. You may not succeed initially, but the effort will energize you and lead to other actions. You may move on to arenas you had not considered seriously before, arenas where it turns out that you have more options. Probably you will learn something new. For sure you will feel more alive, more involved with other people and with daily life. During chronic depression, an ongoing situation, a person loses hope and stops trying. Sleeping and eating patterns may change. Friends may be avoided. Inside the person he feels like a failure, a disappointment to others and to himself. His hopelessness may stem from mental assumptions run amok. Old mind habits can trap a person,perhaps in self-criticism. Current difficult circumstances may be interpreted as “my fault” when actually there are many causes. One, well-tested approach for treatment of depression is called Cognitive Behavioral Therapy. 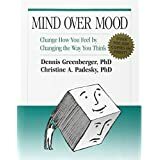 CBT and its’ offshoots suggest that you change your actions or your thinking habits, and your feelings will change in response. You need to observe yourself and learn when and how you are triggered before you can decide how to change. Then you try different actions or different thinking. Preferably you practice daily. Examples of CBT could be writing out more “realistic” versions of events, or considering how you would advise a friend in similar trouble. Another approach is called Mindfulness. 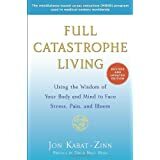 It grew from the principles and practices of Buddhism and may include that old staple of the nineteen seventies, meditation. 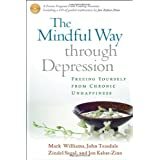 Mindfulness and its derivatives help you to notice and accept the physical and mental symptoms of your feelings, giving you a time to calm your emotions and think more objectively. 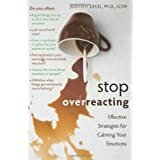 Any or all of these different mental approaches can help you to break out of your automatic and self-critical pattern. A trusted counselor can question and dialogue with you to help you find what works for you. Basic self-care is important. Why handicap yourself with poor nutrition or lack of sleep if you can do something to change that? Exercise of any sort releases helpful chemicals in the body and encourages your mind. A daily routine is also reassuring. Try to get up and go to bed at the same time and eat regular meals. Medication is a possibility. A physician is needed to prescribe that. Last but not least, get involved with carefully selected people who are meaningful to you and appreciate your company. 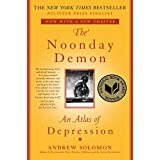 Depression encourages isolation, leaving the mind to ruminate on troubles. Do something with or for someone else. Your own situation will seem less overwhelming. The involvement will help you gain time to regroup your energy. 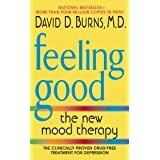 Feeling Good, by David D. Burns, M.D.